CBS and I don’t have the best relationship. Probably because I really don’t like procedurals [and think they represent the death of modern TV, but that’s a debate for another day]. There are a few shows I’ll watch, just in case they end up being good, but nothing has me jumping up and down. 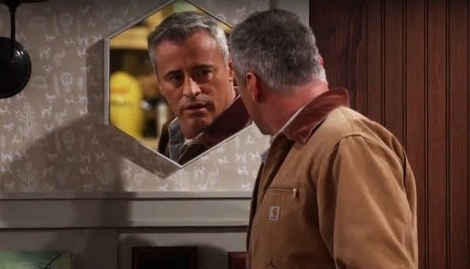 Matt Leblanc has a new family comedy - Man with a Plan - about a stay-at-home-dad. He is funny, but the concept doesn’t excite me. Joel McHale also has a new show about an outdoors magazine - The Great Indoors. Not quite Community but maybe something on the level of Superstore? On a related [yet irrelevant] note, I miss The Soup. Michael Weatherly’s Bull looks interesting enough, but it also looks VERY procedural. So I am predicting I’ll get bored after 3 eps. My love for Dark Angel can only take me so far. Finally I’ll watch MacGyver. Honestly, I think it looks really really bad, but it might be one of those shows that are so cheesy they are fun. Or maybe it is just bad. We’ll see. I am passing on Pure Genius - the trailer put me to sleep. I love Dermont Mulroney and the concept is appealing enough, plus sci-fi-y but come on! What was up with that trailer?! The music, the scenes, the dialogue, it was constructed for boredom! On second thought, maybe I should watch just in case it is one of those “good show/bad trailer” situation. I’ll also pass on Kevin Can Wait, just not my thing. Pick of the season? Eh… I really don’t know. I don’t think I’ll stick with any of these shows to be honest. Let’s see if this is the year CBS proves me wrong.